We are delighted to mark a decade of fundraising with a grant to keep a Tyneside bowling club looking sharp. The Muckle LLP Fund at the Community Foundation is celebrating 10 years of grant making after awarding its 270th grant for £920 to Gateshead Borough Bowling Club to buy bowling shoes. In total the fund has now awarded more than £275,000 to community and voluntary organisations across Tyne and Wear and Northumberland. It was established at the Community Foundation in 2002 to support projects that Muckle people or their families are involved with or interested in. Our committee team meets every month to discuss and agree the grants. They also run a match scheme where fundraising efforts by members of the firm can be matched with donations from the fund. Hugh Welch, senior partner at the Newcastle-based firm and a champion of its community work, said: “As an independent regional law firm, our community programme is very important to us and we are proud of our decade of giving. “I would, however, like to acknowledge and thank the Community Foundation for all that they have done for us since 2002 both generally and in the administration of our fund. 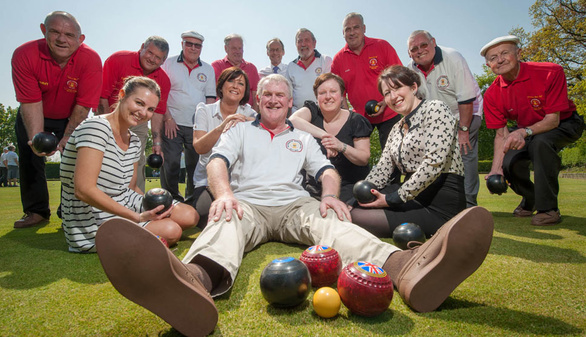 Paul Dobson, from Gateshead Borough Bowling Club, said: “Things like bowling shoes can be really expensive and that would actually prohibit someone from taking part in the bowling sessions so the grant from the Muckle LLP fund is fantastic. The Community Foundation serving Tyne and Wear and Northumberland is a charity that enables effective giving which strengthens communities and enriches local life. The foundation acts as a centre for individuals, families, businesses and other agencies that want to give to communities, matching their interests with organisations and individuals seeking funding. A wide range of causes benefit from the foundation’s awards, including children and older people; people affected by disadvantage and ill-health; and those seeking education and work. Grants also support the arts, the environment, community activities and amateur sport. It holds and builds an endowment to provide resources for grant-making. It also makes grants from contributions given every year. Based in Newcastle, it is the largest community foundation in the UK and part of a growing international community philanthropy movement. For more information, help or advice on our Community Fund please contact Hugh Welch on 0191 211 7903 or email [email protected].